Poised high atop a bluff overlooking the ocean and river below, the historic Wentworth by the Sea hotel once again offers its guests a bygone lifestyle of grandeur. Masterfully blending historic elegance with 21st century convenience, our luxury hotel provides a memorable backdrop for business conferences, family vacations, and romantic getaways. 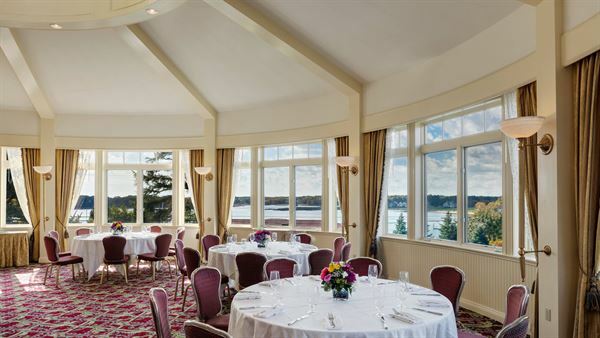 If you're hosting an event in the Portsmouth area, our hotel offers 10,000 square feet of flexible space and expert planning services. Trust your meeting to our experienced staff - from venue selection to creative, delicious catering.